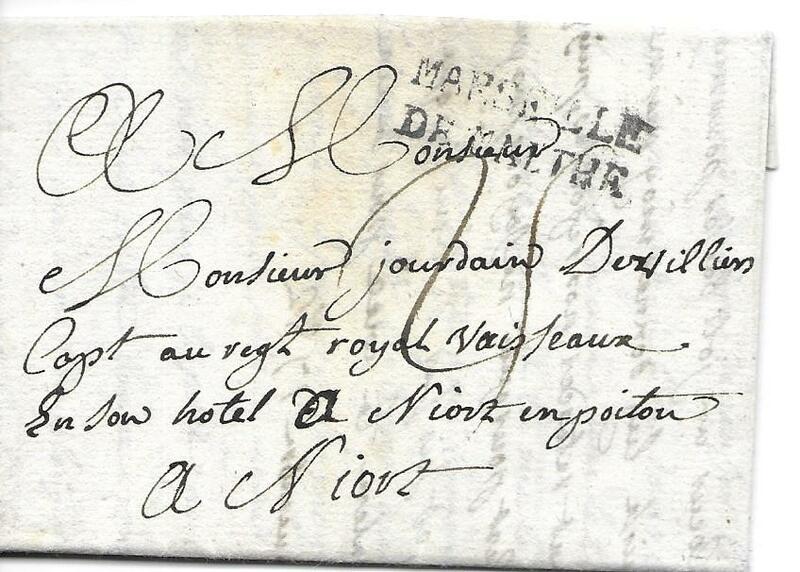 1838 incoming entire from , with printed list of new books in English and manuscript message, endorsed�par Bateau a Vapeur de Marseille�, Paris despatch cds and framed PD, reverse with good strike across flap of Local Post �27 March 3d� applied on arrival. 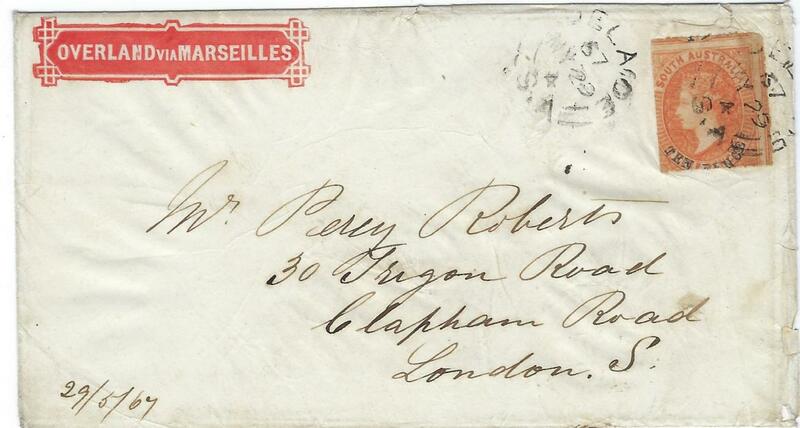 1841 incoming entire from London,endorsed "via Marseille" with despatch cds and French entry cds,reverse with Marseille transit. 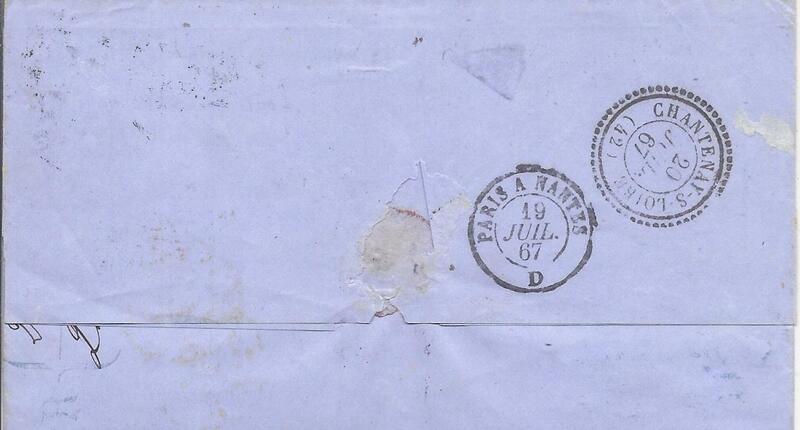 The top right showing fair example of rare LocalPost '2 Mar Free' applied on arrival. 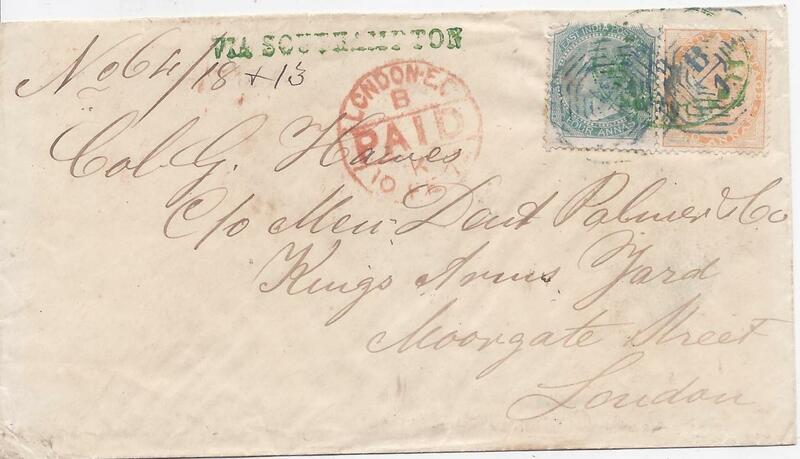 1863 cover to London franked pair 1861-64, perf 14 5d. 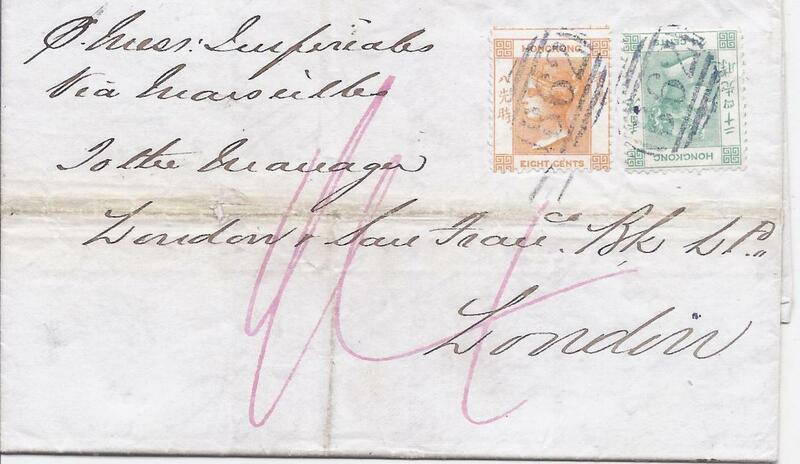 tied bar grid cancels, red Calle Paid cds at left, endorsed "via Marseilles", arrival backstamp;slight faults to envelope at left, fresh condition. 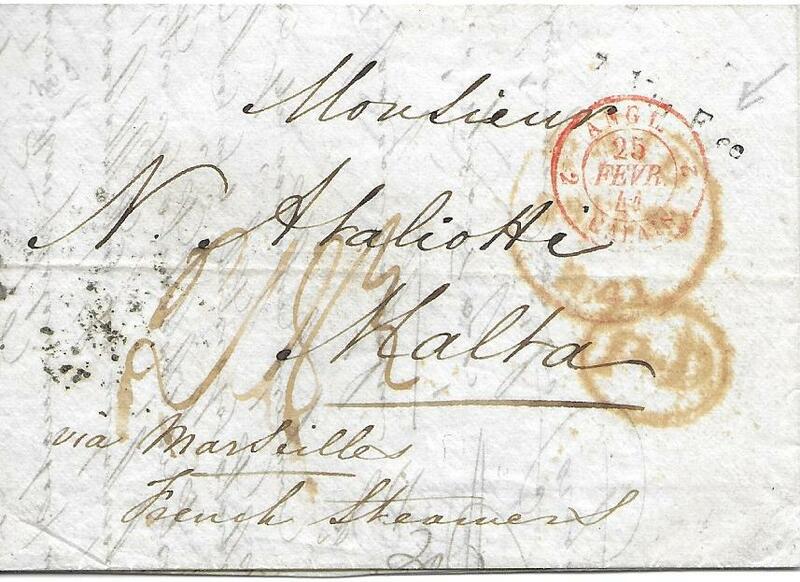 1867 (MY 29) �Overland via Marseilles� special envelope bearing single franking rouletted 10d on 9d. blue surcharge SG 35; somewhat off centre otherwise fine and attractive. 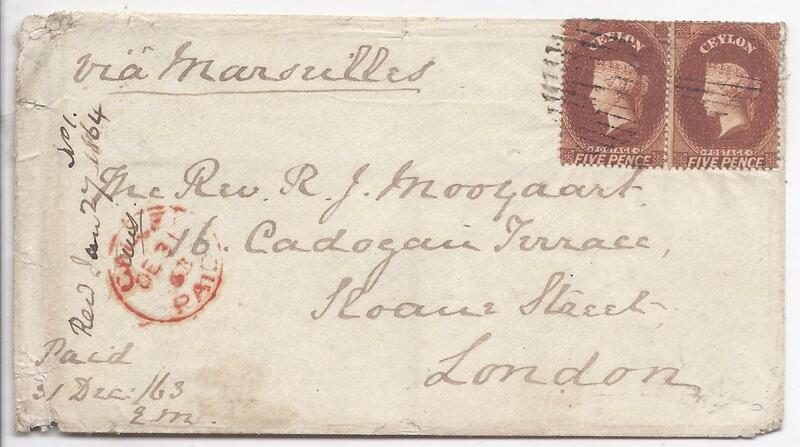 1867 (SP 20) cover to London, endorsed "via Marseilles" and franked 8c. and 24c., each cancelled B62 obliterator, reverse with blue Shanghae index c cds, hong Kong transit overstruck with London arrival of NO 15; fine and clean condition. 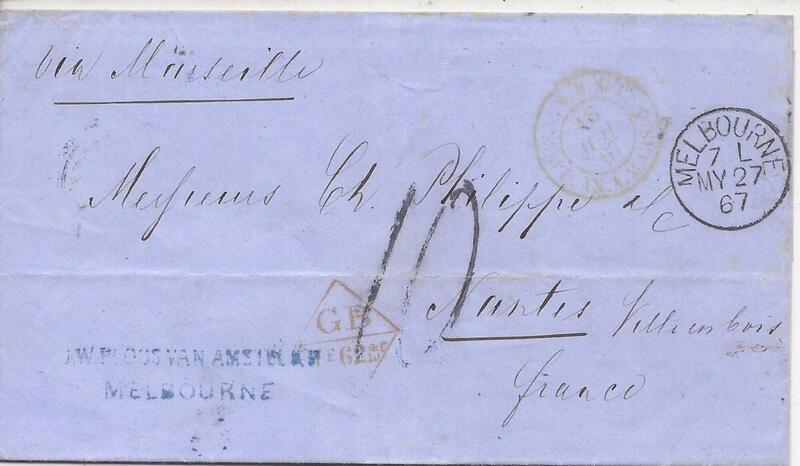 1868 entire to London, endorsed �Via Marseilles� franked 1863 8c orange and 24c green each cancelled by blue �B62�, manuscript rating on front, reverse with Hong Kong index C cds overstriking Augustine Heard & Co circular dated company handstamp. Light horizontal filing crease. 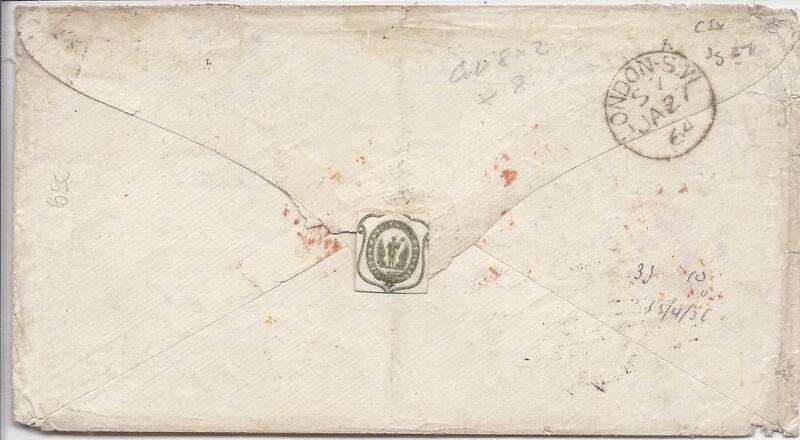 Victoria: 1857 (27 JY) cover to New York franked 1854 1s. 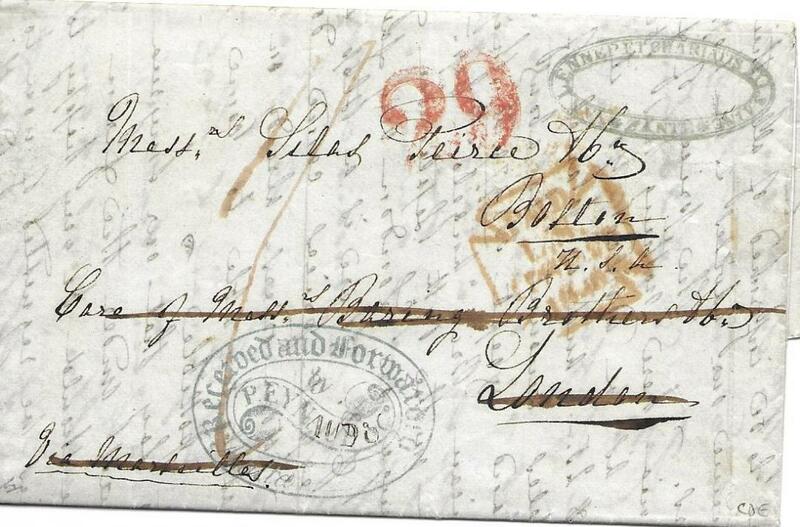 and 1854 6d. dull orange and 2s. 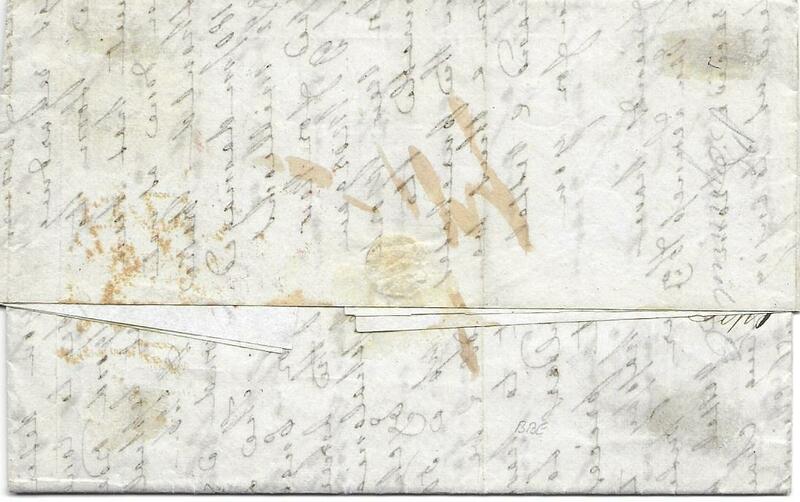 dull bluish-green/pale yellow, the 6d with damaged bottom right corner, 1s. with touched margins, the 2s. 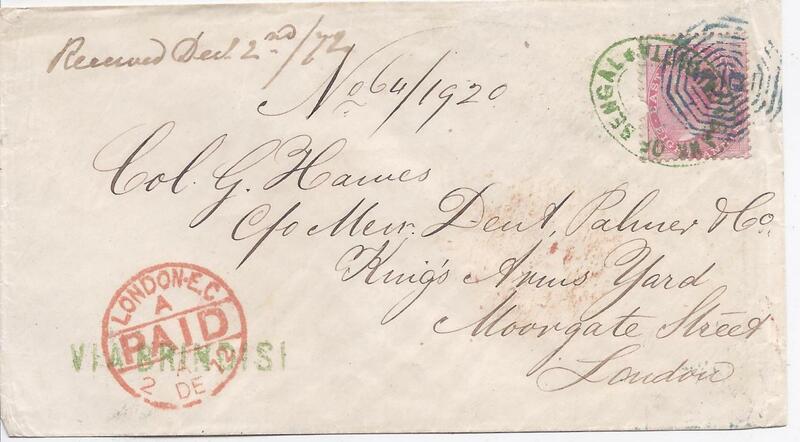 though a fine four even margined example of this rare stamp on cover. 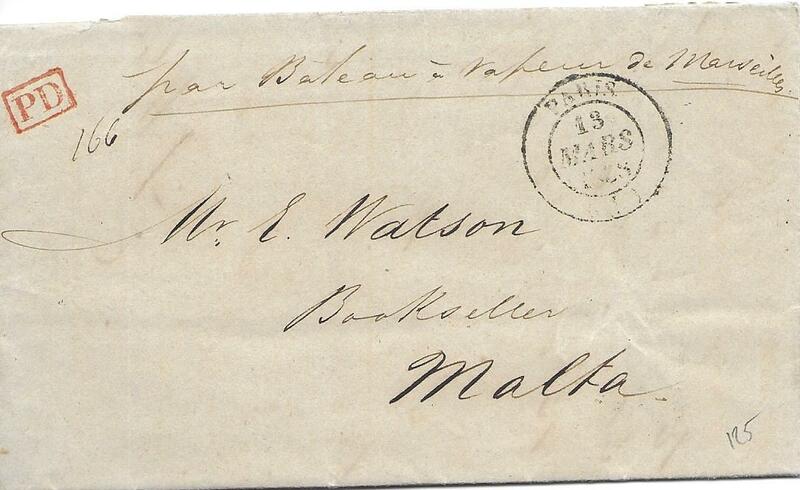 Envelope endorsed �per �Simla/ via Marseilles�, accountancy marks, red Paid cds and New York Am Packet datestamp.